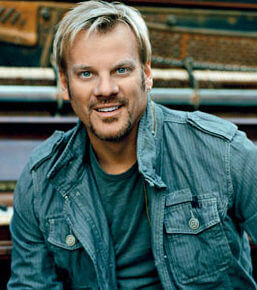 “Hitsteria” is spreading across the country as piano-pounding powerhouse Phil Vassar is celebrating 20 years of chart-topping hits by taking them on the road, including video footage spanning two decades that will accompany Vassar on stage as he sings his hits. The “Hitsteria Tour” kicked off to packed audiences in Florida earlier this month, full list of tour dates below. 2019 marks 20 years since the release of Vassar’s debut single “Carlene,” which peaked at No. 5 on the Billboard Hot Country Singles Chart and No. 45 on Billboard Hot 100. The single was the first release off Vassar’s debut, self-titled album and was followed by his first No. 1 hit “Just Another Day in Paradise.” Since then Vassar has achieved 10 No. 1 singles, 15 Top 10 hits and 27 Top 40 singles throughout his 20-year solo career. The hitmaker has become known for his passionate, high-energy performance, where no two shows are ever the same. Phil Vassar and Lonestarwill kick off The Not So Silent Night Tour Nov. 30 in Biloxi, MS. Cities and dates here. All proceeds from their “Not So Silent Night” single will go to The Salvation Army.